Private Cloud, What Is It and Why Do You Need It? Even where organisations cannot make full use of public cloud for reasons of security or because of bandwidth limitations, many of the advantages of flexibility and rapid deployment can be made by providing a private cloud where the IT department manages the service but allows users to use the resources as their requirements change. Could Private Clouds provide a new paradigm for enterprises, irrespective of the public cloud? ‘Private cloud’ is often presented as being the solution for all your computing issues. It promises benefits such as cost savings, energy savings, rapid deployment and customer empowerment. But what exactly is ‘private cloud’? Why are people reluctant to consider using private cloud? In this article I’d like to explain a bit more about private cloud, its definition and implementation, and the choices you have to make before adopting private cloud. Please note that none of these characteristics mention virtualization, using the Internet or using a service provider. 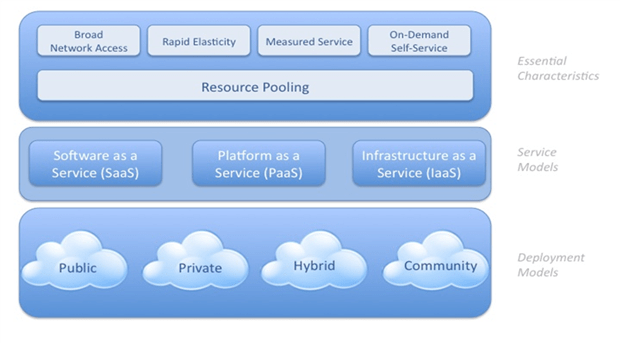 Platform as a Service or PaaS – in this service model a server is running in the provider’s datacenter and fully managed by the service provider. The customer however is managing the applications running on the server and for the data stored on the server. Windows Azure is an example of this but just like in the previous example there are many local service providers offering similar solutions. Infrastructure as a Service or IaaS – in this service model, the server is running in the provider’s datacenter, but is fully managed by the customer. Everything running on this server is the customer’s responsibility: This includes the operating system (which can be any operating system), the applications running on this operating system and the data stored on the server. This categorization of these services are not meant to define a common standard but are intended more as a general guideline to get everyone on the same page. It is important to note that there’s always overlap between the service models. Where does IaaS stop and where does PaaS start? This is defined in the actual agreement with your cloud provider! Private Cloud – this is a cloud infrastructure dedicated for only one customer. A private cloud can be located in the customer’s own datacenter or computer room but it can also be hosted in a service provider’s datacenter. A private cloud can be managed by the customer, by the hosting provider or by a 3rd party. The customer however is responsible for all costs of the solution at all times. Public cloud – this is a cloud infrastructure that’s available for everyone, regardless whether the customer is a consumer or a (large) company. Public cloud is available just like electricity from a wall outlet or water from a tap. Again Office 365 is a great example of a public cloud solution and so is the Microsoft Azure solution. Community Cloud – this cloud infrastructure is shared amongst multiple organizations or consumers with a shared goal or interest. Managing a community cloud can be done by one of the organizations or outsourced to a 3rd party. Hybrid Cloud – this cloud infrastructure is a combination of the three above mentioned cloud infrastructures. In Microsoft Office 365 for example it is possible to have multiple mailboxes stored in Microsoft’s datacenters, but have this combined with Exchange servers and thus mailboxes on-premises. Together this is one large, hybrid messaging system. Together these models categorize ways to deliver cloud services. The definition is intended to make it easier to compare cloud services and deployment strategies. It also provides a baseline for discussion about cloud computing and how to best use cloud computing. Figure 1. Graphical replication of cloud technology by NIST and how it all fits together. Now that we’ve seen the official definition of cloud and in particular private cloud, it’s time to have a look at the implementation of a private cloud. Service Management – Service Management and automation are key factors in a cloud solution. Every step, every action has to be consistent, retry-able and documented to keep a consistent platform. All servers need to be exactly the same to get predictable results. Without a rock solid Service Management solution a cloud offering will end up nowhere. Applications – The quality of applications make or break a cloud solution. “It’s all about the App!” Applications need to be manageable from the cloud’s provider management portal, but metering needs to be possible as well as elasticity. When more resources are needed the application needs to be scaled up as well. Organization – The organization needs to be ready for cloud technology as well. With cloud technology, your organization will be shifting its emphasis from pure technology to more business driven solutions. 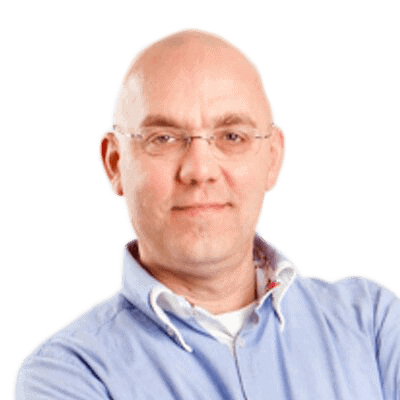 Think about maturity, cooperation between the current IT department and the business departments who need cloud technology or the culture in general in an organization. If people are not willing to adopt cloud technology than technological solutions will fail. The advantage of implementing cloud technology is the speed and flexibility of provision. Resources can be assigned to applications to match changing demand. Metering and thus billing are most likely performed on a monthly basis (although a daily basis is possible as well of course, or even an hourly basis) and this gives a tremendous transparency in the overall cost. Implementing a private cloud in an organization can prove to be costly, so there must be a solid return on investment when start building a private cloud whereas starting with a public cloud means a low investment and a ‘pay per use’ billing. Is cloud technology ‘evolution’ or ‘revolution’? In the past we’ve seen several solutions based on applications being available on the Internet. Webhosting, hosted mailboxes, hosted desktop or other hosted solutions have been available for a longer time offered by Application Solution Providers (ASPs). Cloud technology is an evolution of these hosted solutions, and more and more new possibilities are now made available via cloud technology. The most important part is to create a clear strategy in your organization which includes cloud technology before you start using it. The private cloud is implemented in the service provider’s datacenter. The technology is basically the same in both configuration, but in the 2nd option there might be a difference about ownership of the hardware (either you company owns it or the service provider owns it and you lease it) and its management might be different. It is Important to note that the private cloud is implemented on dedicated hardware. The entire solution is yours and there’s no shared hardware. Using shared hardware changes the implementation to public cloud! For implementing a Private Could solution, Microsoft is offering its Windows Azure Pack. 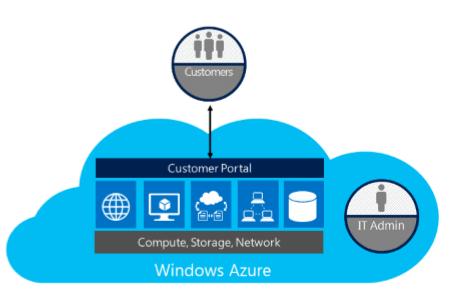 Windows Azure Pack is targeted towards Enterprise Customers that are looking to act as (internal) Service Providers, but at the same time targeted towards Solution Providers that are looking to host Enterprise Workloads. Note. In July 2012 Microsoft announced the “Windows Azure Services for Windows Server”. Windows Azure Pack includes a superset of the services and supersedes Windows Azure Services for Windows Server with the use of Windows Server 2012 R2 and System Center 2012 R2. So, Windows Azure Pack is using Windows Server 2012 R2, System Center 2012 R2 and a Self-Service website for provisioning services. Customers, whether they are external customers for Service Providers or internal customers for Enterprise organizations go to the Self-Service portal and can create, manage or delete Virtual Machines in their ‘tenant’. The IT department is responsible for managing the overall infrastructure, but customers are responsible for managing their own Virtual Machines. The latter is typically not a responsibility of the IT departments which is in line with the on-demand self-service definition of NIST as mentioned earlier in this chapter. The IT department is responsible for usage metering for end-user reporting purposes, but at the same time is also responsible for monitoring the platform and perform capacity planning. A baseline needs to be established and trend analysis need to be performed to prevent an underlying system that cannot provision additional Virtual Machines because of lack of resources. Private cloud is characterized by flexibility, flexibility that is achieved by on-demand self-service, resource pooling and a measured service. This means that end users, which can be departments or business units, are responsible for their own computing resource needs rather than the IT departments. The IT department is responsible for the overall infrastructure but no longer for the individual resources. End users can create their own resources, have to pay for its usage and can destroy resources when no longer needed. In a typical private cloud implementation, virtualization is used and, in a Microsoft environment, this is the Windows Azure Pack or WAP. WAP is a hosting solution that’s targeted towards enterprises and service providers that want to offer private cloud solutions. Using private cloud solutions gives you a tremendous amount of flexibility, both technically and financially since you monitor and charge the actual usage. This might well be the future of computing! Your Blog have awesome information which sharing by you. I realize that is very nice and it is very knowledgeful. Cloud is not a small lesson which is write in 2 or 3 lesson, because it have some parts which is also share by you in brief. if anyone want to get full knowledge about Cloud so he/she have read one or more book which is based on Cloud and you are sharing it on internet in a blog form which is excellent. If anyone want to use Cloud hosting for business purpose so you have to with The SageNext company who is specialize in providing Cloud hosting services for Small and Medium business works. Your wording is very understanding and I am collected better knowledge from there. Cloud hosting is best option of Host application software on internet. Sage 50 Hosting company is providing Cloud Hosting services for Sage, Quicken, Peachtree, Quickbooks and drake software’s which is mostly using by Businessman.